Congratulations, Pakistan! What an end to a wonderful competition. We’ve seen so much fantastic cricket over the past few weeks that it was fitting that the final was settled by some truly fantastic performances from some very special players. First of all, Fakhar Zaman, take a bow. His astonishing 114 was a mixture of classy batting and utterly outrageous shots, which had me (and many others, no doubt) open-mouthed on several occasions. Yes, he got a little lucky early on with that no-ball dismissal, but he isn’t the first and won’t be the last to get a touch of fortune in a classic innings. From there on, he was imperious at the crease. Straight after his dismissal, I tweeted that whatever happened from here – and at that stage I thought India was very much still in the game – he had made a name for himself and put Pakistan right into contention, and that proved exactly the case. Despite Pakistan’s impressive 338 on what looked a cracking batting track, I couldn’t escape the feeling India’s top three would were equal to the challenge. After India lost that very early wicket, again I tweeted, this time with less success, that in Virat Kohli, India has the player you’d want at the crease to see the team through to victory, and I really did believe it. That was until Mohammad Amir and Hassan Ali tore through India’s top order with some of the most impressive bowling I’ve ever seen. I wrote in my previous column that it would be the victor of Pakistan’s seam attack and India’s top order batsmen who would win this game. 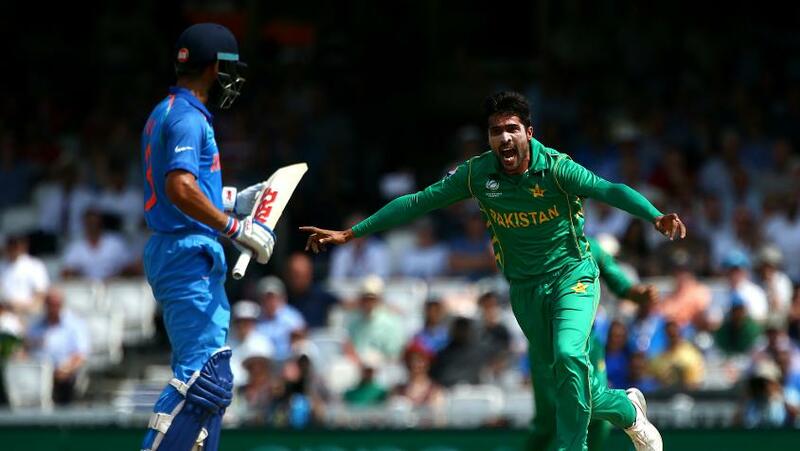 Mohammad Amir and Hassan Ali tore through India’s top order with some of the most impressive bowling. That said, I don’t imagine most people thought that would mean Pakistan coming away with the trophy though! The atmosphere around the ground was sensational and was great to see so many people enjoying seeing Pakistan taking their first global 50-over title since 1992. While it wasn’t a tight contest, the quality and unpredictability of the match made it enthralling to watch. I don’t think anyone can argue that the 2017 ICC Champions Trophy was anything but a roaring success, and while we didn’t see nail-biting final over victories, we saw upsets and heroes being made. For some nations – Australia and South Africa – it was a bit of a disaster. For England, it was a bit of a mixed bag. Make no bones about it, England wanted to win it. And it could have. It had the quality, but just didn’t perform when it mattered. 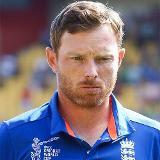 Some of its performances in the group stages were fantastic – particularly Ben Stokes’s tremendous unbeaten century against the Aussies – but knowing this group, it will see a semi-final defeat as a missed opportunity. I'm sure we’ll see the lessons they players learned in this competition taken forward to the World Cup in two years’ time. In fact, that tournament promises to be a special occasion all round. We’ve got teams like Australia and South Africa, who’ll be desperate to make up for their performances from this time around, while England will feel then that it will be its time, and India will have two years to sit on yesterday’s loss and I know it will do everything in its power to make amends. And then there’s Pakistan. It’s well documented how unpredictable it is. But recently it’s been less documented just how many fantastic players the team has. I'm sure that’ll now change. For us spectators it’s been a fantastic few weeks and I'm just grateful to have been involved in a very small way. I'm proud of England for hosting such a brilliant tournament and I'm equally proud of the fans from all nations who made it such a competition to remember, with their brilliant support at each venue. Lastly, congratulations to all the players. Whether it was your tournament or not in terms of success, well done on entertaining so many people, not least me.